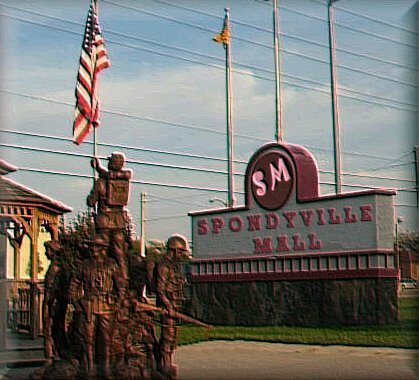 At the entrance to the Spondyville Mall is the statue of the Blurry Soldiers, dedicated to all the brave Spondyville soldiers, who, though often blinded by iritis, fought, (and usually died), for their country. 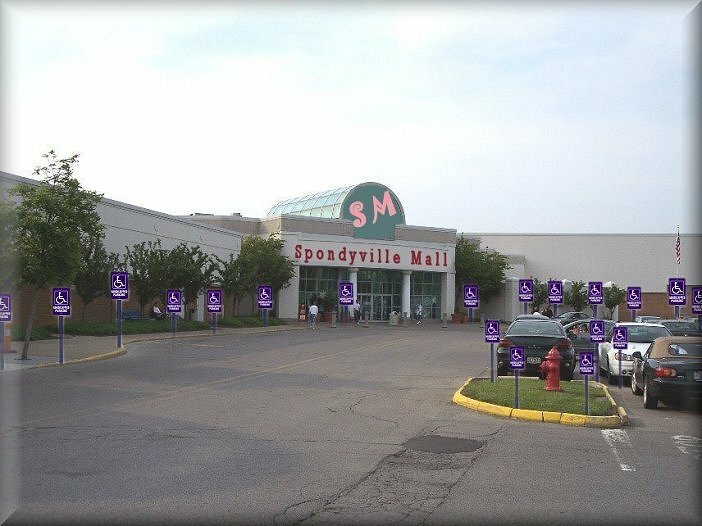 Every parking space is a handicapped parking space. 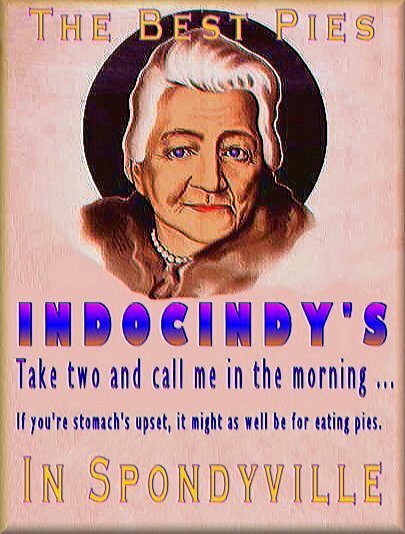 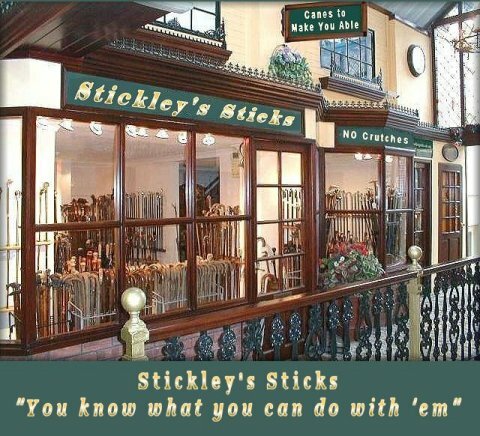 Another Spondyville business: Stickley's Cane Emporium has been a fixture of the Spondyville business district since the turn of the twentieth century. 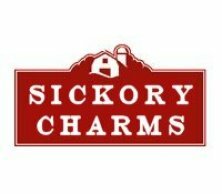 What kind of mall would it be without a Sickory Charms store? 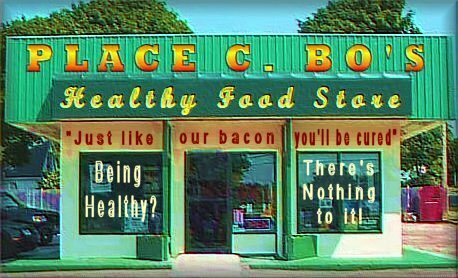 Selling all the accoutrements of good luck, (try their Cheese Amulets! 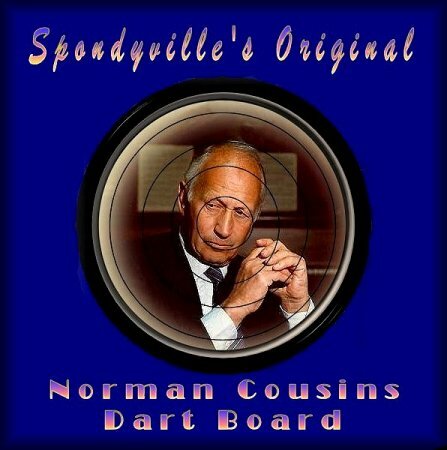 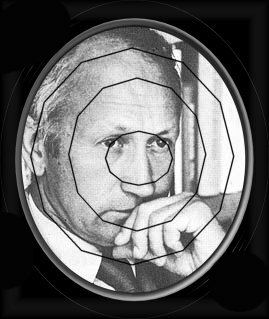 ), they also sell the extremely popular Norman Cousins dart boards. 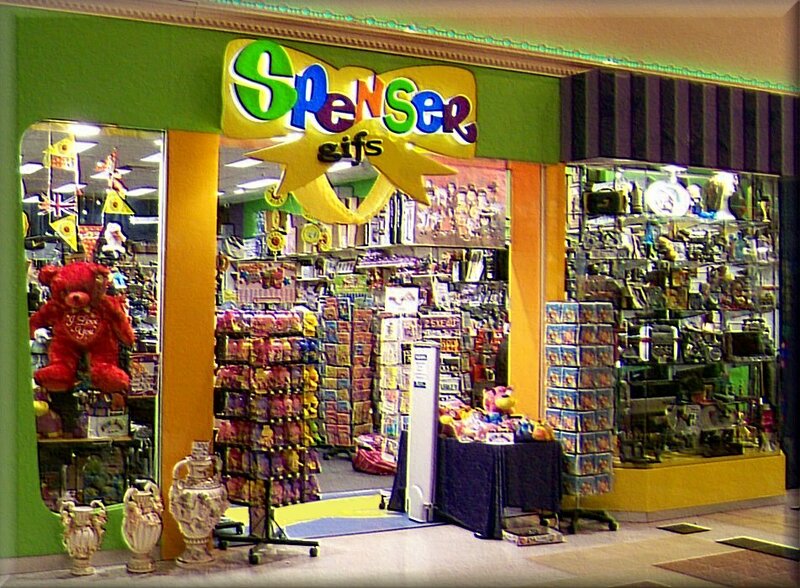 And finally, every mall has to have at least one "Spenser's Gifs", featuring the silliest photo-manipulations ever made.